The history of cuisines in Jammu and Kashmir has a manifold and interesting dynamics. For example, the Hindus in Jammu eat a vegetarian diet while the Muslims in the Kashmir Valley have several irresistible meat products in their cuisine. The Ladakhis, on the contrary, eat rice along with fruits and vegetables, as well as dairy products made of yak milk. Thus, along with the spices, what makes the cuisine of Jammu and Kashmir really spectacular is the presence of multi-course means and salt teas, making it distinct from the cuisine of typically Indian families. The combination of hot spices in the red onion gravy along with finely cut pieces of meat makes it a favourite. 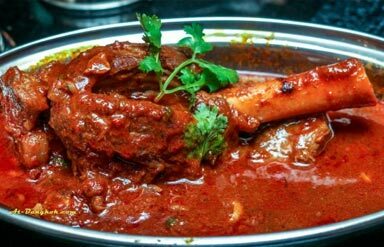 This lamb meat dish is definitely a favourite of many and is used for having the typical feel of the Kashmiri cuisine. The red colour of the dish is obtained from maval, which is a dried flower from the plant of cockscomb. One can taste the tinges of saffron, cinnamon and turmeric in its preparation. These are typically known as Kashmiri lamb chops. The fennel, spices and moval essence of the front ribs of the fatty goat makes it even more tempting. 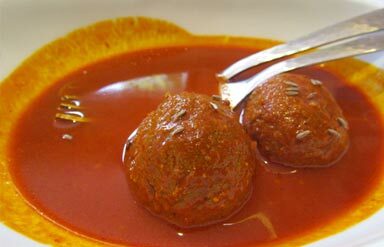 The saffron gravy is made of chilli and onions, with the small lamb dumplings poached in turmeric water. 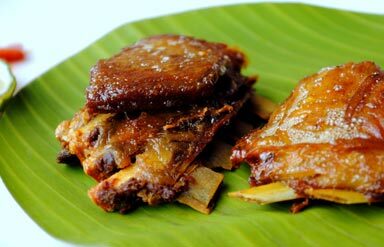 It is a traditional dish and cooked during auspicious festivals. Also, the Kashmiri cuisine has evolved over the ages. One can spot the cooking styles of Afghanistan, Iran and Central Asia in it. The extensive use of turmeric and yoghurt makes it even more special. Quite interestingly, garlic and onion are not used much in the Kashmiri cuisines. The traditional Kashmiri dish includes wazwan which is a multi-course meal. The head chef, locally called as Vasta Waza has the entire responsibility of preparing the meal, which is a collection of 36 dishes. Along with the speciality of cuisines, the dishes in Kashmir are known for the use of dry fruits, especially when it comes to the preparation of curries. Along with the types of dishes that include the Kashmiri cuisine, one must note down the culture in which these cuisines are eaten. For example, the traditional way of eating itself is very typical of Jammu and Kashmir. So, go ahead and get a real essence of the tempting cuisines of Jammu and Kashmir this season. 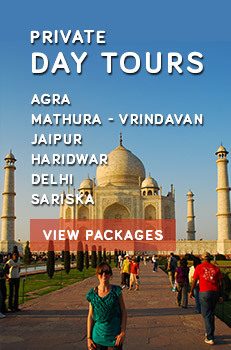 Book your Jammu and Kashmir holiday packages to get the best of offers.